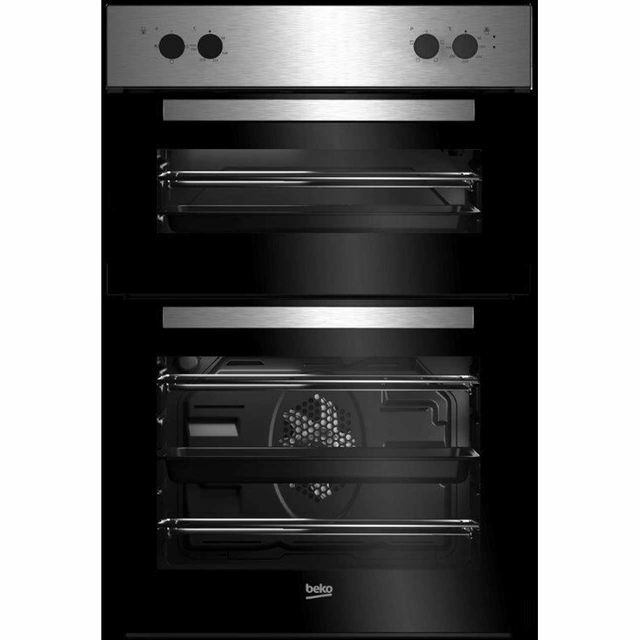 Add a touch of style to your kitchen with this built-in black double oven from Indesit. The main electric fan oven ensures food is always evenly cooked - whichever shelf you place it on. The second electric conventional oven also has a useful grill setting, so it’s perfect for crispy bacon in the morning. It has a handy programmable timer too, so food is always cooked to perfection. Thanks to smooth enamel liners, grease and food can’t stick inside, meaning all it needs is a simple wipe clean. 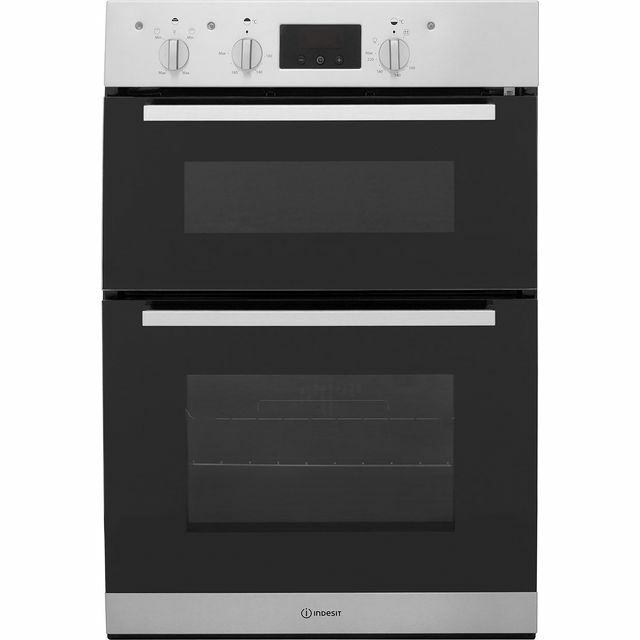 Great oven that has not only transformed our kitchen but also our meals. Superb service and superb product. I will and already have shopped with AO again and Indesit will be top of my list when looking for a new tumble dryer. 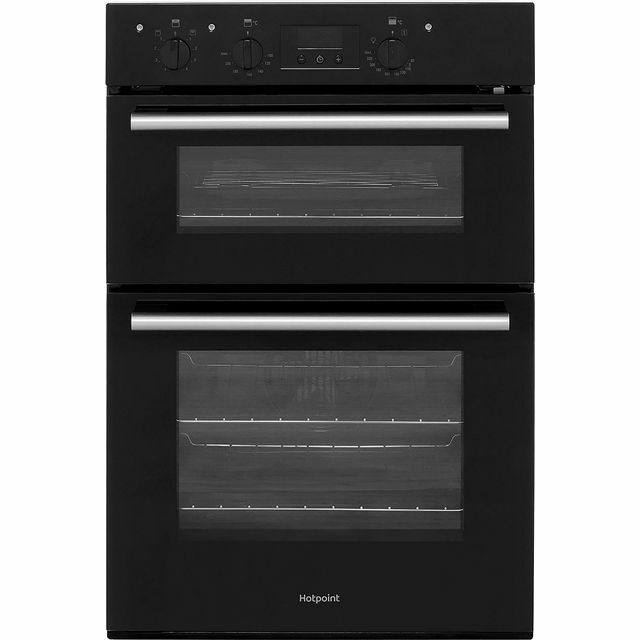 Good oven for the price however it could do with at least another shelf. 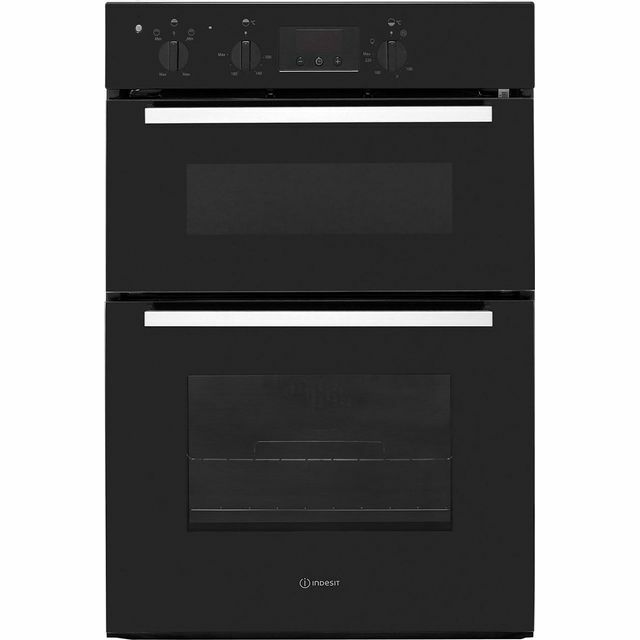 The cost of a new one that fits properly is the difference between this oven and a much better one so depends on your requirements. I was looking for a replacement oven for a rental property at short notice. This oven fitted the bill perfectly. If I was nit picking then an extra shelf would have been handy but at this price point it's not a deal breaker. 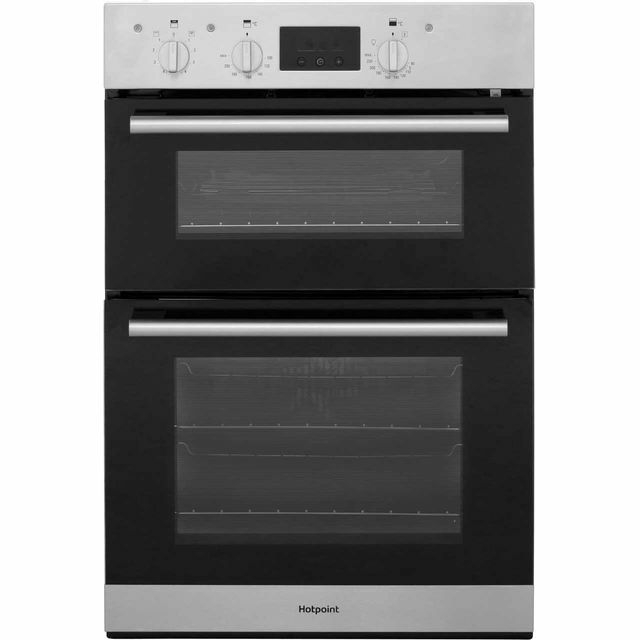 This double oven is everything we need, looks good and very quiet. The only downside I can say is only 1 oven shelf but our old ones fitted inside isn't a problem.